SB Nation editor-in-chief Elena Bergeron wrote an internal memo to team-site bloggers today, publishing it on the company’s internal “Community Corner” page. It announced a few updates and a series of planned changes to a sprawling team-site network comprising more than 319 team sites staffed by thousands of bloggers, editors, and producers. From changing compensation and team-site budgets to adding jobs overseeing the team sites, the initiatives seem like a system overhaul—they just come with a glaring lack of specifics. The 2,000-word memo is heavy on internet-speak and light on specific actions that are being taken—or will be taken—to address the problem of having underpaid people create content on hundreds of websites that accrue millions of pageviews so a billion-dollar company can sell ads on them and get even richer, all while claiming the team site workers are simply fans. What it does say is that SB Nation is making and filling new positions to generally oversee the team sites, plans to customize budgets for the sites, and will make implement new payment plans to make sure people are being compensated for their work. How they plan to do this wasn’t yet explained; the details of the proposed initiatives were hard to discern amidst the corporate platitudes. SB Nation means a lot of different things to different people, but without understanding what SB Nation is intended to be, we lose the impact of all of us coming together as a network. If we all think SB Nation means something different, does being a part of SB Nation mean anything at all? Having talked to, DMed, and emailed with a bunch of you over the past few months (apologies to those I haven’t yet responded to), I think the answer is still HELLS YEAH. TL, DR: We wanna show off team sites’ work using flagship as a mighty propulsion device. But we don’t want that to burden team site contributors and managers. Instead, we want to give our fan contributors more tools and resources to express yourselves and amplify your voice. Those revenue opportunities should give us better ways of pumping up digitally native talent and developing a more diverse set of contributors who make good internet across different platforms. The vagueness didn’t escape team site bloggers, nor did the fact that they were constantly referred to as fans, when—for years—many of them have taken on the very different roles of reporters, investigative journalists, and editors. In the comment section, team-site bloggers asked about which team-site roles would be taken over by the flagship; how the changes would affect how podcasts are made and promoted; whether smaller sites would get the same support and attention as big sites; and what the compensation plan would mean for the NBA sites, which just overhauled their pay system (requiring a certain number of posts for a certain small stipend) this summer. *taps mic* Is this thing on? Usually I try to keep these brief (and load y’all up with A++ pop culture links) but this update is too important to whisk through. As I said last time I checked in, it’s clear that those of us leading SB Nation will be more regularly communicating with the entire SB Nation community, both to celebrate the amazing contributions everyone makes and to give insight and opportunities for feedback on big directional decisions that are happening. We’ve got a lot to celebrate, as always, but I’m writing this because we’re at an inflection point in the future of SB Nation. 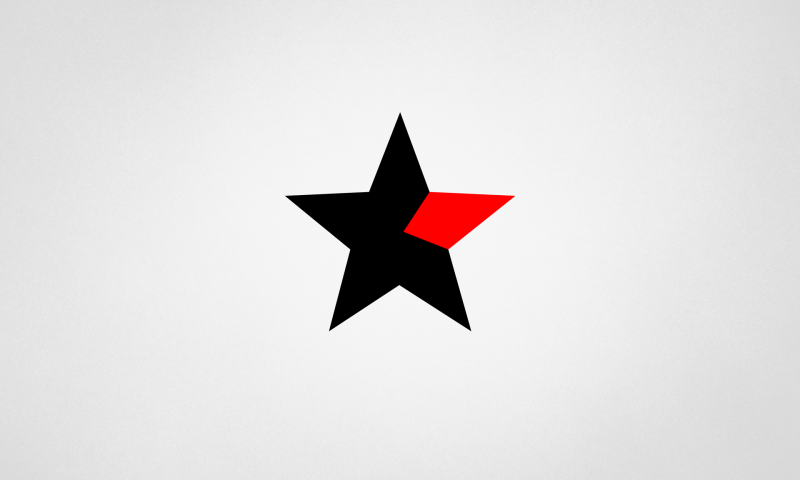 What’s been true from the start is that SB Nation set out to be a network of, by, and for fans. It started as a place for one fan — Tyler Bleszinski — to express what he thought traditional outlets were missing in their coverage of his team. Tyler found his platform, his megaphone via SB Nation, and used blogging to draw people to him and us. That’s still the core of what SB Nation is. It’s both a platform and a destination that gives sports fans a place to be delighted, informed, and surprised. Most importantly, we give fans the tools, the beacons, to come together. You know what happens when you enable fandom, right? All kinds of great stuff. A property manager finds out he really likes the rhythm of writing and he develops into one of the best MLB national writers in the game. A hockey fan’s insights are so vital that she actually gets hired by a pro league. NBA fans figure out they can community organize to help out kids in need. Football fans use their community to get their city through a tough time. And to tailgate. Real. Good. Tailgating. For our fan contributors — from our site managers to those who post only occasionally — SB Nation plays (and has played) a number of different roles in their lives. For instance, over time, SB Nation has been a place where some fans have built their professional portfolios and gone on to full-time jobs in sports journalism. Many have used their role at SB Nation to supplement another income stream. Some fans hate the very thought that what they contribute to SB Nation for fun might ever feel like a “job” — rather, it’s their passion, it’s their hobby. For fans of emerging leagues or under-covered sports, sharing their sports passion on our team sites is an act of advocacy. Many came to SB Nation after experiencing the toxicity of another platform. Some not-so-great stuff arose, too, as this juggernaut was built and took off. It’s time to address those unintended outcomes alongside the work we’ve been doing this year to plan for SB Nation’s future. Since then, Kevin, John, Justin, and I have been talking to league managers as a group and site contributors individually as we rethink how we support the team brands model. We’ve been trying to experiment with ways of strengthening the network and identifying areas where we can invest smartly in order to grow. Today I’m letting y’all know that this is part of a larger plan for the network that we can fiiiiiinallly start putting into place. Some of those sneaky pilot initiatives started this NFL season and we’ll be applying what we’ve learned to the NBA team sites + flagship interaction, starting this month. TL, DR: We wanna show off team sites’ work using flagship as a mighty propulsion device. But we don’t want that to burden team site contributors and managers. Instead, we want to give our fan contributors more tools and resources to express yourselves and amplify your voice. Here’s what we’ve been working on. We hired Cincy Jungle’s Rebecca Toback as NFL Director to bridge the strategic gap between flagship and team sites coverage and to help us find ways to promote and market content that incorporates the whole network. Next up, she’ll be working with Joel Thorman to hire a recirculation manager to make sure that people who find one fire piece of SB Nation content also have easy access to the rest of the network.We hired one of our most visible and productive contributors, Brandon Gowton of BGN, into a newly-created full time role (Team Site Producer) where he’s both creating content across different platforms and working with our NFL staff to come up with editorial and sponsorship opportunities, nationally and locally. In the new role Brandon will be a more visible part of how we strategically market and promote NFL team sites.We needed to create new opportunities to engage with our site managers IRL, so Joel led the effort to bring 10 NFL site managers to meet with us in the DC office prior to the start of the NFL season. He’ll be following up with a weekly call so that we get their insights regularly.Team site contributors have been showcased in our big season preview packages and videos. We’re using those big events to introduce a captive national audience to the smart people who knowtheir local teams. (Special shout out to everyone who showed up in NYC for the NFL Draft Live show and the NHL preview show. )We created resource documents to help sports fans write about sensitive topics. We also created an edithelp@sbnation.com email group that connects team sites to flagship’s editing staff so that contributors can get editorial support that’s in line with the values that SB Nation is built upon. In between all that, SB Nation leadership has been meeting with league managers and the Vox Media senior team to figure out how to kick this into high gear. If you’ve just been skimming up to this point **THIS IS WHERE THE REAL RELEVANT INFO IS. ** We’re making an investment into team sites so that they can continue to be the beating heart of SB Nation, and showcased as such. Step one: we are tailoring the compensation structure to acknowledge the many different ways there are of contributing to SB Nation. We are not and never have been a one-size-fits-all platform. So we’re articulating more customized functions for the team sites and budgeting them to be reflective of the wants and needs of YOUR community, including those people who voluntarily post around our network. The plan is to start rolling some of those changes out this November. For some of our most massive team brands, your audience wants more of everything, (seriously, you know this if you’ve ever met a Cowboys fan) including analysis, voice-driven blogging, Facebook live video, Instagram memes, podcasts, beer cozies… you name it. For some of our other — still passionate! — brands, whether you post 2 times a day or 20, you’re not going to generate the same pageviews as a big 4, major market team site that’s in the middle of a championship run. That’s fine! The new approach we’re developing allows us to look at each person’s unique contributions and to compensate you for growing audience in ways that make sense. There’s no use in skirting it: growing audience helps us all. But pageviews aren’t the only way to do that. As we support a customizable model for team sites, it’s important that we are clear on the tasks that SB Nation is paying you for, that we give you incentives when you CRUSH IT, and that we’re being honest about things you might be doing to rally your community which are awesome...but that we don’t officially need need you to do. (We fully realize that the insomniacs among y’all will blog as much as you damn well please. That is still very OK.) We’re working to identify and communicate those in the coming weeks. We know that everyone has a different relationship to the compensation that may come from being part of SB Nation. While some depend on it, for others it’s just the icing on the cake. We also may have many contributors who don’t want the responsibility of having money tied to this. We hear you. Being clear about different functions and their value will give contributors better guidance and expectations on budgeting the time they invest on the platform. We want your time on SB Nation to be focused on being a fan and serving fans, so we’re creating roles that will be managed by SB Nation flagship to make sure that the more administrative functions fall on US, not YOU. We’re hiring for those roles now and will be adding jobs through the rest of the year.And here’s the big one. We’re developing new business opportunities for our team brands, and reinvesting in talent and communities. We want to create new ways for all of us to make money that aren’t just BLOG HARDER. We’d like to give better support to team sites podcasts and merchandise, and explore how we resource other business areas that your communities want to tap into. Those revenue opportunities should give us better ways of pumping up digitally native talent and developing a more diverse set of contributors who make good internet across different platforms. This will be ongoing work, mostly because it’s the hardest thing to coordinate across all areas of SB Nation, but you should start to see the effects of this planning through the winter. There are very different motivators for sports fans who find their home at SB Nation. Those that do find something special on our platform and, I think, share a common belief that fandom is not cookie-cutter. We want to support individuals and we want SB Nation to diversify the ways our audience finds us and the types of people who want to fan out with us. Tyler Bleszinski did it through blogging. How will the next fan find their voice? To anticipate that fan’s needs, we have to continue to evolve SB Nation—to provide more tools to succeed, and more business and growth opportunities. This will help launch our contributors—and our network as a whole—to the next level. We won’t be meeting our commitment to support our fan communities if we don’t create more ways for people to benefit from participating with us and 86 the roadblocks to pushing sports internet forward. THAT, we can do. Together. Know anything we should know? Email the reporter at laura.wagner@deadspin.com, anonymity guaranteed. Unpaid SB Nation Writer Did Plagiarism, Got "Fired"